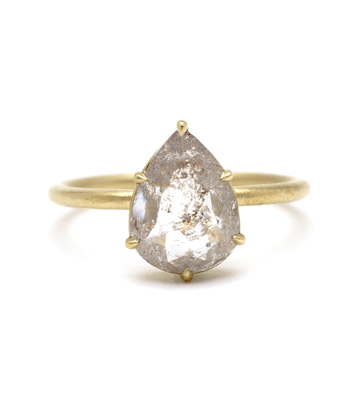 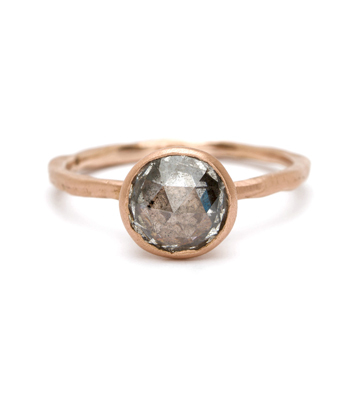 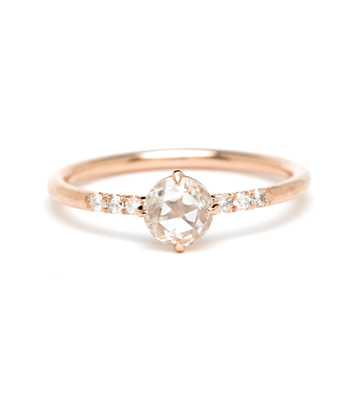 Large smooth facets and a flat bottom give Rose Cut diamonds the perfect muted, watery shine we adore. 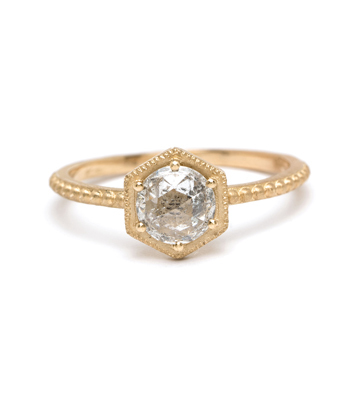 The Rose Cut was one of the earliest forms of diamond cutting and were all crafted by hand. 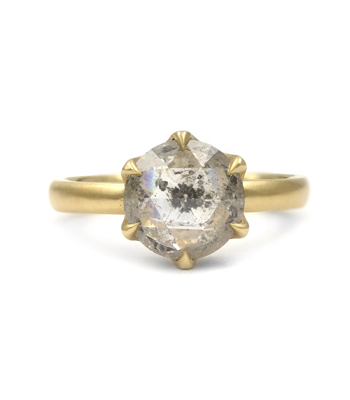 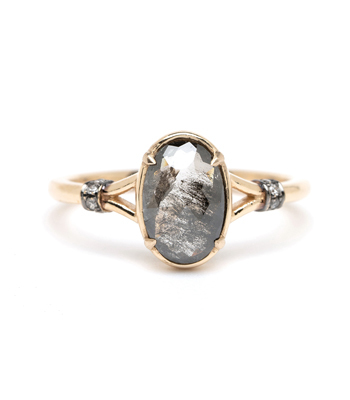 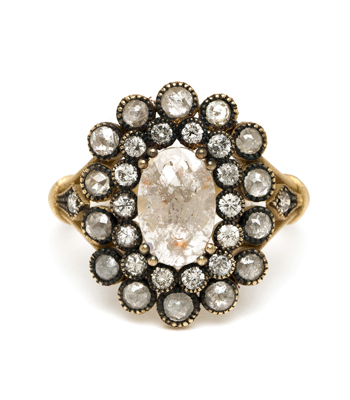 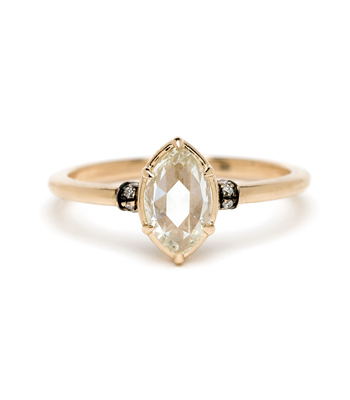 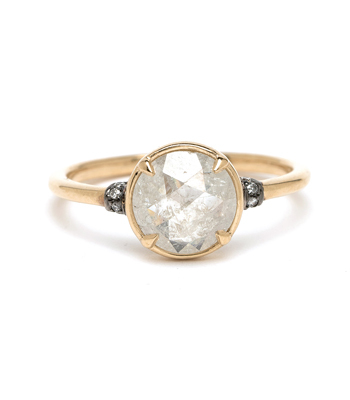 Rose Cut diamond engagement rings are a favorite at Sofia Kaman for their sweet vintage roots and unique sparkle!